As a retailer, can I buy products directly from Ethical Products, Inc.? 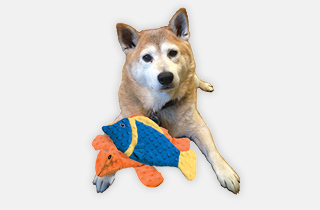 Pet Retailers can purchase our products from any of the numerous distributors that carry our products. We do not sell our products directly to retailers due to minimum case requirements. Can you help me locate a distributor in my area? Yes, please call our customer service department at 800-223-7768. As a retailer or distributor, how can I receive new product information and promotions from Ethical Products, inc.? We would love to sign you up for our email newsletter. Just fill out the form at the bottom of the page. Call our customer service department at 800.223.7768. They will be happy to give you more information. Our registration process involves: the filling out the proper forms, passing our credit check, placing an order and taking delivery of our products. As a consumer, where can I buy Spot and Fashion Pet products? All of our pet products and accessories can be found at local pet retailers throughout the country or through catalog companies. Can I email a picture of my pet with your products? Absolutely! We love to see pets interacting with our products. Email us at cs@ethicalpet.com to send us your picture.